This is after the coffee date or after several coffee dates. When you are ready to take this person you are getting to know on a date, don’t make it a dinner and movie date. How hum drum. How stereotypical. Maybe even boring. Let your creativity shine. Why? Women will remember these dates. Women will remember you. Women will be curious about you. Women will think that you have something different about you. All of this is true about you if you continue to be yourself on these dates and continue to let the process of dating teach you about who you really are in relationships. Find situations where you can experience interesting things together and learn what it is like to be with someone new. I’m writing this to the guy because we as women do like you to plan a date. It shows initiative. It shows your interest. Consider the woman’s hair and clothes with your ideas. She is not going to like having her hair messed up too early in your blooming relationship. She will want to know she is wearing the right clothes for whatever you have planned. Save the romance for more of the middle part of the dating relationship. You may have already been brainstorming that part of these unique ideas is to wow her with romance. Romance is an expression of love. This is why it is more for the middle part. Romance puts too much pressure too early. The likelihood is very high that both parties will be disappointed eventually. Save the romance for the middle part of dating. Won’t that be fun to surprise her with that part of you then? Some of you men may never be romantics. It truly may not be your love language. That is okay as long as you are consistent with it. If you begin with romantic gestures because you do sincerely want to woo the girl but don’t express your love language that way in relationships, you will disappoint. Take the pressure off and be you. Always include food. Food is good. Podcast a walking tour. Find a walking tour that you can download to your phones. Take the walking tour together each with earbuds in your own ears. (Don’t try to be cute and share ear buds. That is a lot of personal space you will be occupying and you will likely trip at some point and embarrass yourself.) Yes, for a good part of this date you are closed off listening to a podcast individually. But feel free to stop at each stop, or all the particular interesting stops, and talk together about what you learned. Then pop those earbuds back in again and continue on. Be even more clever by pre-listening to the walking tour podcast and see if a historic restaurant is mentioned or if you walk past a chic one. When you do, you can stop the walking tour for that bit and have a meal together. Cooking class. Food is an even more important commodity these days (big ups to foodies!). Food is good and generally is part of a date. Sign the two of you up for a cooking class. Whether you can cook or not, there will be some challenge to this activity together and you always end up with some fancy food—prepared by your very own hands. Win win. Triathalon date. Not the sports kind. Remember to think about her hair and clothes. Pick three activities you can do together for this date that have a bit of competition to them. (Some ideas: foosball, trivia, pool, hopscotch.) Let her pick one and you pick one. You can pick the third one which can be wildly creative and fun. This makes for a long date but provides for lots of safe spaces to talk and laugh together. Note: Do not do if you are so competitive you will be a sore loser. Picnic and a movie. This is different than the standard dinner and a movie. Outdoor movies are shown in many different places. Find one and bring a picnic dinner with you. (Must have food!) 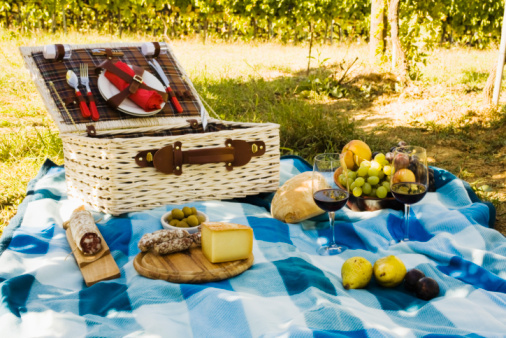 A picnic is inherently fun. An outdoor movie location adds to the fun-ness of the date plus talking is so-so allowed. If you are unable to put a picnic together, go to your local grocery store. Higher end grocery stores have lots of prepared food choices that can be put together for a picnic. Have a five course meal at five different locations. This will take some planning on your part but you can do it. You may want to find five different locations which can all be walked to. If driving is the option. you will want to simplify this drive. Another tip: Find restaurants that offer small portions. Garage saling. This will be a Saturday morning date, which already spikes the curiosity of the date. Map out the location of three to seven garage sales. Also map out a fun lunch location. Walk through these garage sales together talking about things you like and why. You will learn a lot about each other through these random and safe conversations. And you may find a great find. Lunch will be your meal where you can continue to talk about the things you found and why they were meaningful or funny or brought back memories. School sporting event. This may or may not be your former high school. That doesn’t matter. Find a sporting event at a high school. High school has a certain atmosphere that can lead to lots of personal storytelling. Plus you can join the crowd in cheering and feel the bond of shared support. Buy some candy or popcorn to support the booster program. Chocolate tour. Who doesn’t love chocolate? This will take some planning by you again but map out a walking tour where you can taste several kinds of chocolate. Just the word chocolate invites fun, right? You can end the tour with a small bite to eat and/or a beautiful glass of wine which compliments the chocolate. Going Out Guide. Most newspapers have put together Going Out Guides which collect the events that go on in the city and surrounding communities. There are always a wide variety of events which you can give you something creative to do. Museums regularly plan creative events that don’t always include walking through the exhibits. Don’t forget a planetarium to get a chance to look at the stars, and learn about the stars. You can also find out about food festivals, food truck festivals, (more food!) or even an Elvis Impersonator contest. John and I have gone to one before at one of the Smithsonians. Great date. Wouldn’t have found it if it wasn’t for the Going Out Guide. And it was free. Original post published March 25, 2016, but I’m such a believer of creative date ideas I had to post these ideas again.